Thomas Lupich is a retired electrical designer from Princeton University’s Plasma Physics Laboratory. He is a tai chi instructor with an interest in science and health. When his wife developed cancer they began a quest for the best cancer treatments. After she passed away he continued that quest. His studies and strong interest in health and cancer, over a period of many years, has given him insights into various aspects of alternative health and healing approaches. He recognized the usefulness of powerful antioxidants for cancer patients. When he learned of a particularly powerful one, silica hydride (SH), he realized that it had the potential to greatly enhance the quality of life of the cancer patient. About a year ago he discovered an alternative medicine, Protocel that proved to be effective in curing cancer, at least from an anecdotal perspective. He realized that there is a main attribute of Protocels that also exists in SH. He brought Protocels to the attention a cancer victim, whom he calls Susie. Susie had been treated for metastatic breast cancer for eight years. It had metastasized to her brain. (Only one victim out of a thousand survives brain cancer) For various reasons she refused to take Protocels, but was willing to take more of the SH, which she was already taking. She did so with other antioxidants and supplements for about six months. The only side effects that she noticed were more energy and stamina. At the end of that period she was found to be cancer free. She said that her doctors were flabbergasted at the complete remission of her cancer. 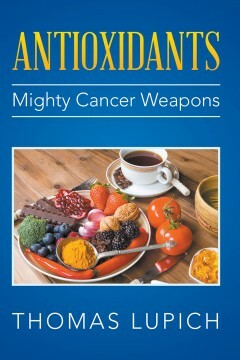 This experience motivated Thomas to write this book for cancer patients on the benefits of antioxidants in general and SH in particular.